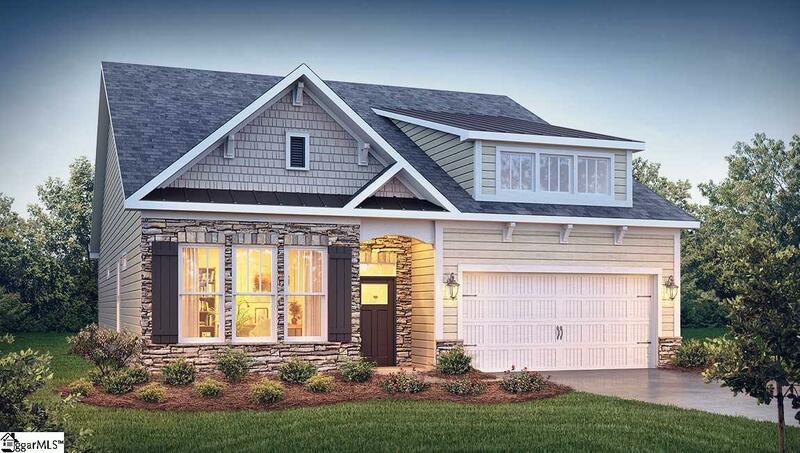 This spacious ranch plan embodies open concept living at its best. The Azalea offers 3 bedrooms and 2 full baths with an open Family Room, Kitchen, and Dining Space. The family room features a gas log fireplace with built in HD link, allowing you to mount your TV above the fireplace and hide all the wires! The Kitchen features an expansive granite island, pendant and recessed lighting, tile backsplash, and Frigidaire stainless steel appliances, including dishwasher, built in microwave, and gas range. The breakfast area next to the kitchen leads out to the patio for year round enjoyment. The owner's suite with trey ceiling looks out to the rear of the home for privacy. The owner's bath has a tile shower, garden tub, dual vanities, and large walk-in closet. Two additional bedrooms are located in the front of the home and share the hallway bathroom. This home is complete with 5 inch hardwood flooring in the foyer, living room, dining room, family room, kitchen, and breakfast nook! Listing provided courtesy of Kelly Yhap of D.R. Horton.